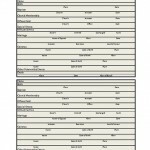 Below you will find the Genealogy Critical Document Record for use in collecting critical individual data obtained from official documents. 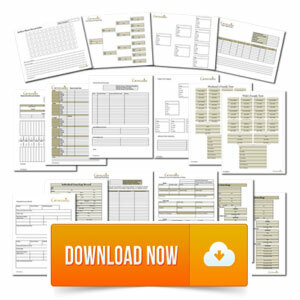 Producing an accurate family tree requires collecting and recording all of the available information. 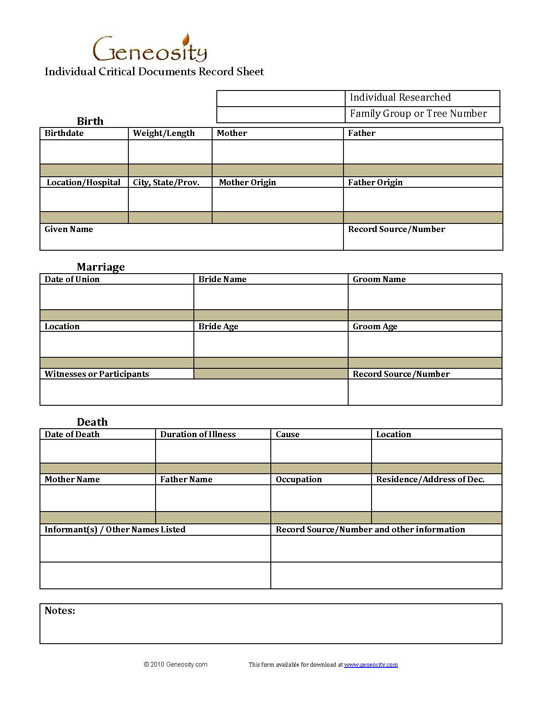 A good starting point for many are the publicly accessible records of births, deaths and marriages. If little is known about an individual the first step is acquiring the death certificate which should include a date and location of birth. Death certificates are not always accurate on all points but it a necessary first step. Copies of these records are available from the local government in which the event took place. In the United States these records are kept at the county level. If you’re not able to locate information online pertaining to the file numbers of these records assistance us usually available if you call the appropriate office. These records are often requested by mail and can take from three to eight weeks to receive. 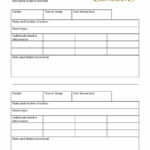 When you have copies of these forms on hand, fill out this form with all available data and attach to official copies of these records. 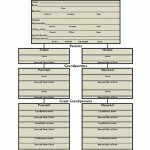 When working with a family tree software, many will allow this to be attached to an individual as an attachment or electronic file record if scanned to a file when completed.